Crystal tractors are designed to successfully compete against tractors in the medium- and high- performance categories. High power is guaranteed by the 144 hp and 163 hp six-cylinder engines. All Crystal engines are based on the proven concept of four-stroke compression ignition, with 24 valves and a common rail injection system. The gearbox has been designed with an emphasis on simple operation, a logical gearshift pattern, low losses at high power transmission, and an outstanding service life based on years of testing. The gearbox has 30 forward and 30 reverse speeds. Two auxiliary cylinders ensure not only uniform tractor load but also a maximum lifting force of 85 kN. A three-part accessory distributor with reverse quick-coupling for waste from the rotary hydraulic engine allows different types of implements to be used. Use of the effective EHR Hitchtronic tillage control system comes as standard. 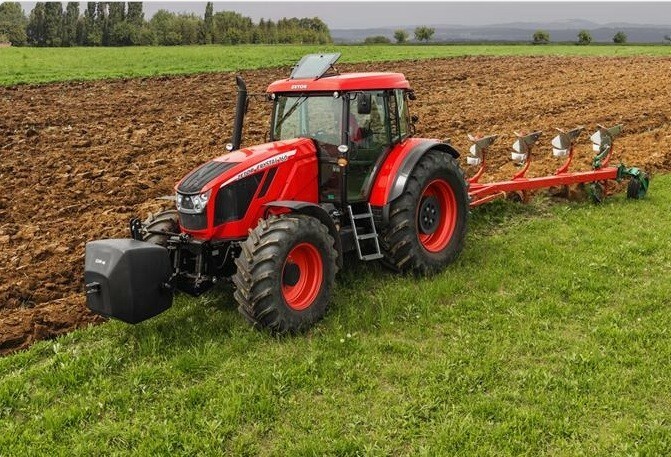 The spring-mounted cab and quiet engine are two basic features contributing to a comfortable drive in the new Zetor Crystal. Would you like to find out more about the Crystal range? Call us on 01886 853 637 or fill in the contact form below and we will be in touch.